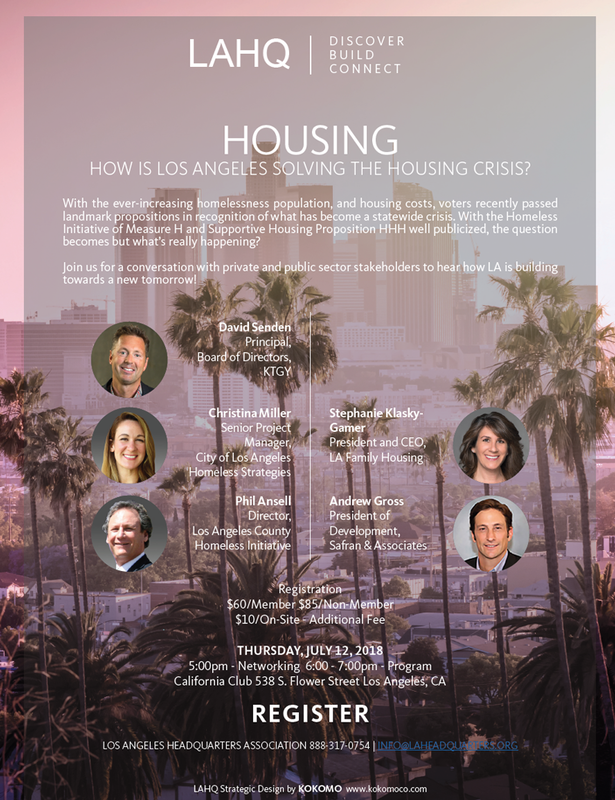 Los Angeles Headquarters Association - Housing - How is Los Angeles Solving the Housing Crisis? Housing - How is Los Angeles Solving the Housing Crisis? - Company recognition on website and marketing materials.